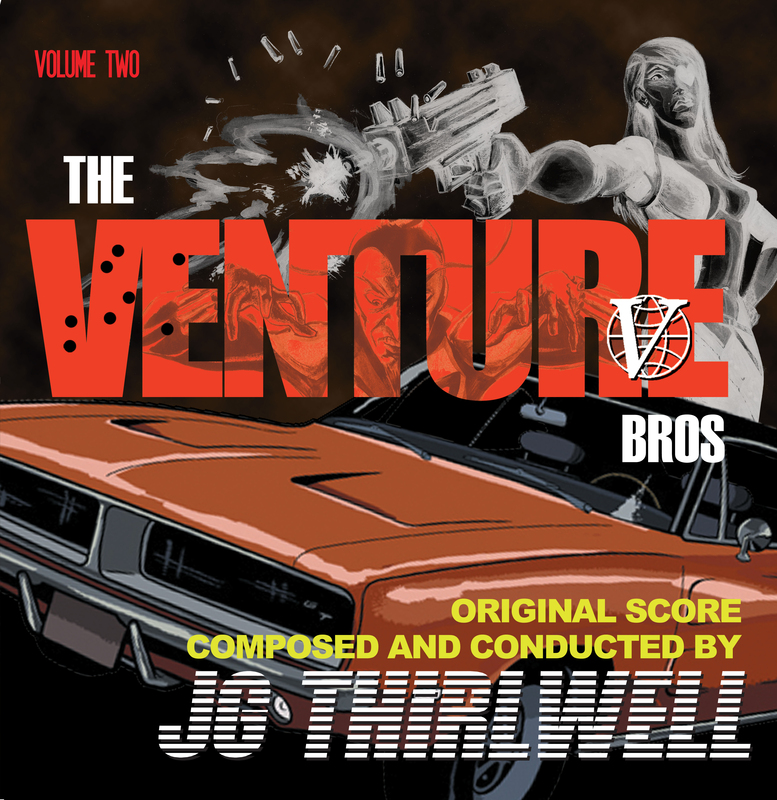 JG Thirlwell | Venture Bros Soundtrack Volume 2 out now! We are thrilled to announce the release of the second volume of JG Thirlwell‘s soundtracks to The Venture Bros. The album is released on Thirlwell’s Ectopic Ents label in an arrangement with Adult Swim / Williams Street Records, and is available on CD, vinyl and digitally. The CD version contains 16 tracks and there are 13 tracks on the vinyl LP version. The vinyl also comes with a download code so the buyer may obtain the full album digitally. The album is available NOW exclusively from the Foetus Shoppe and will be in retail stores, distributed by Virtual thru Sony Red, from June 3 2016.